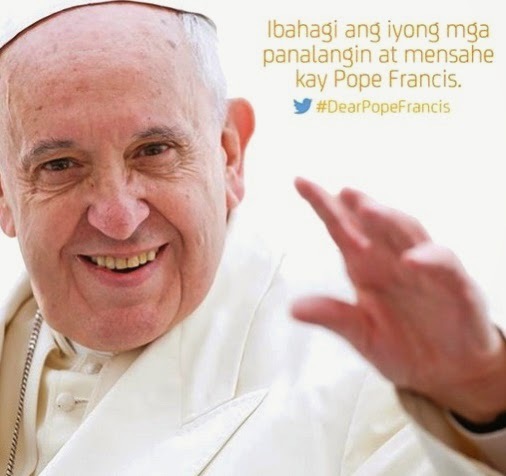 Talk N Text is giving away free Twitter on Pope Francis visit in the Philippines. By doing this, you can share your messages and prayers to the Pope for free. The promo is not only available on TNT subscribers but also on SMART subscribers. Grab this chance TNT subscribers since the Pope isn't always around on PH. So mga Ka-Tropa, enjoy na natin to habang free pa! Maintain 1 peso balance to continue using the service. This promo can only access twitter.com nothing else, and don't forget to use the hashtag #DearPopeFrancis.